Today is my husband’s birthday. My daughter wanted to make him a bunch of drawings & crafts yesterday in anticipation for his big day. She drew up a storm. 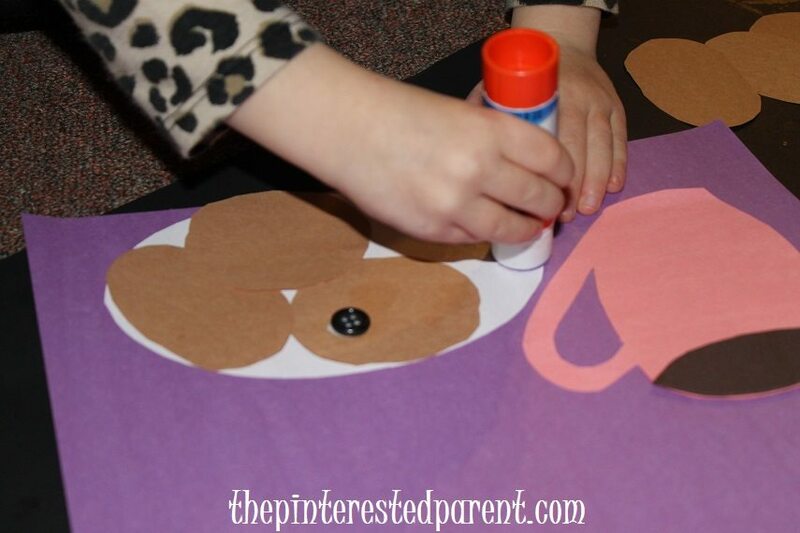 She made him cards & pictures. 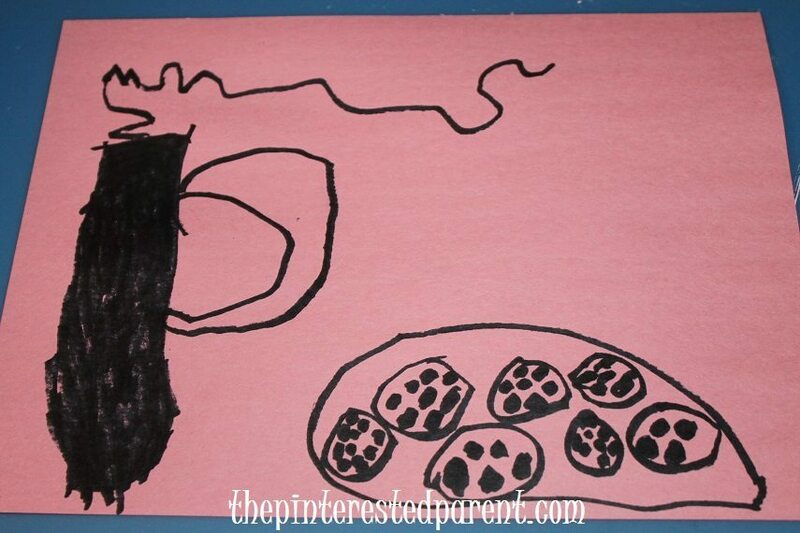 One drawing in particular that she made that was so great was one of a mug of cocoa & some chocolate chip cookies. It came out so great & she was so proud of it when she showed me. “Will daddy like it?” “He is going to love it”, I told her. I loved it too. 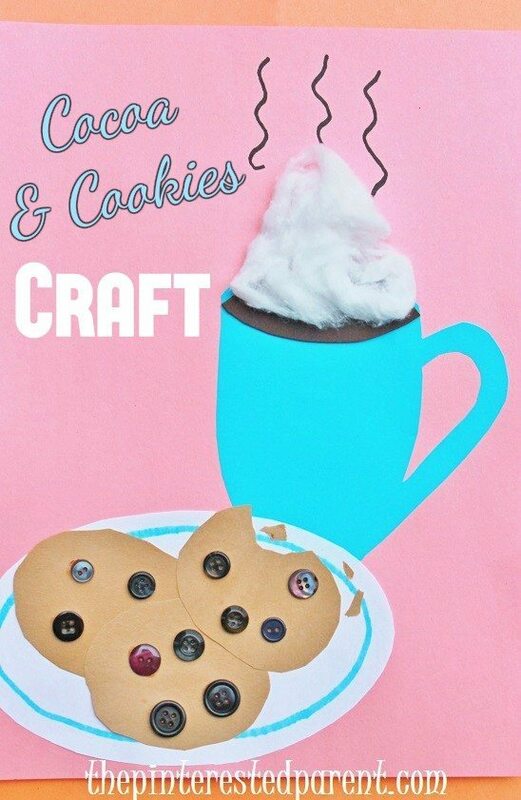 I loved it so much, that I wanted us to make a craft copying her same design. 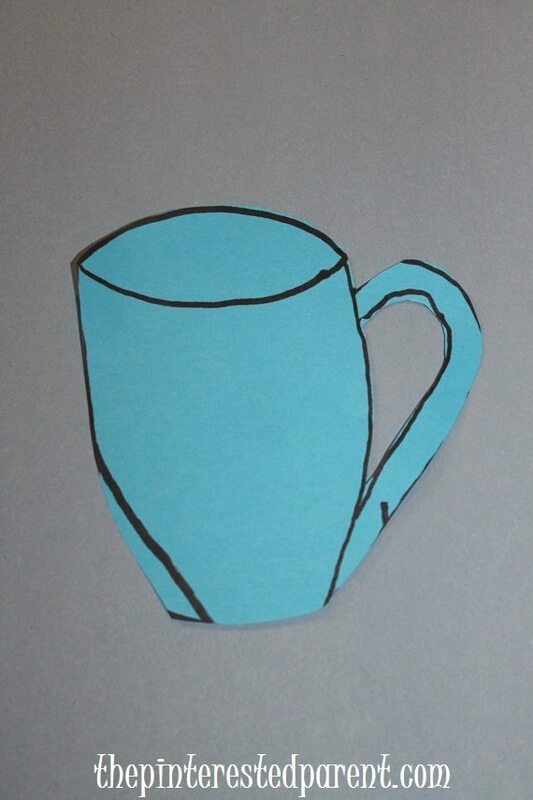 Draw a mug shape out to a piece of construction paper & cut it out. I messed up a bit on the sketch, so used my drawing cut-out as a template. 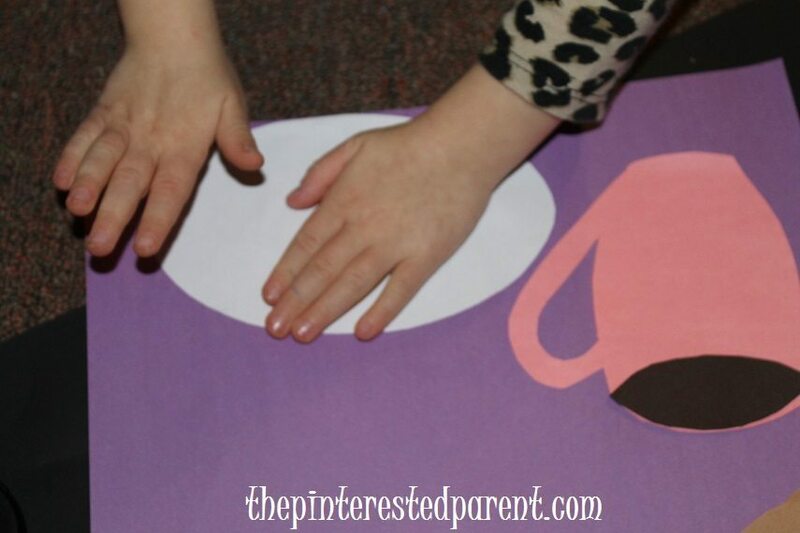 Cut out a dark brown pointed oval to form your cocoa & glue it onto the cup. 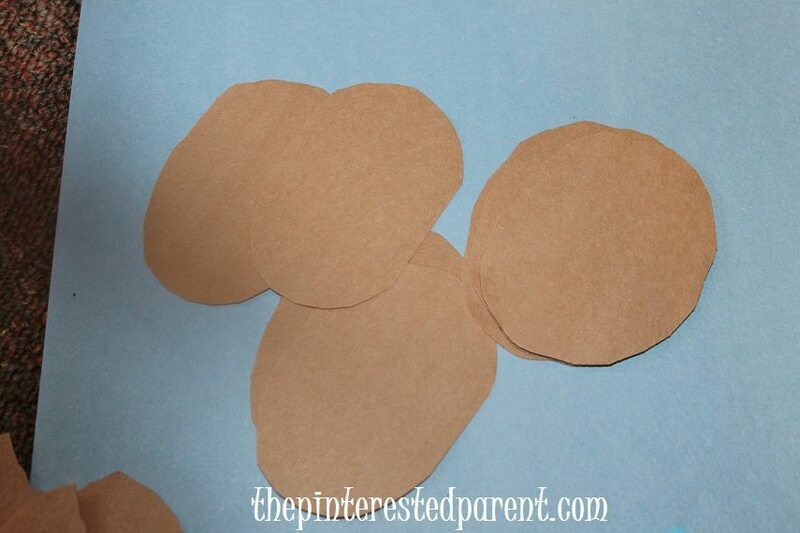 Cut out circles & ovals out of light brown paper for your cookies & cut a large white oval for your plate. 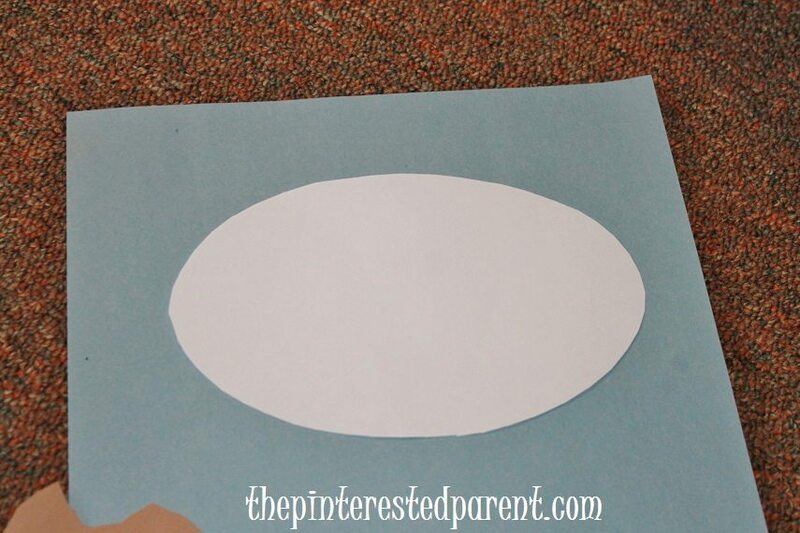 You can use a marker to draw a ring around your white paper to make it look a bit more like a plate. 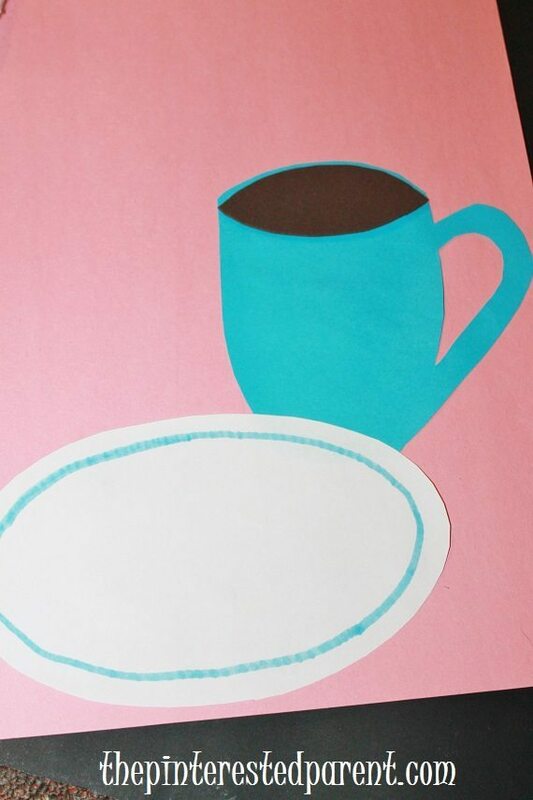 Glue the plate & mug down onto a piece of paper. 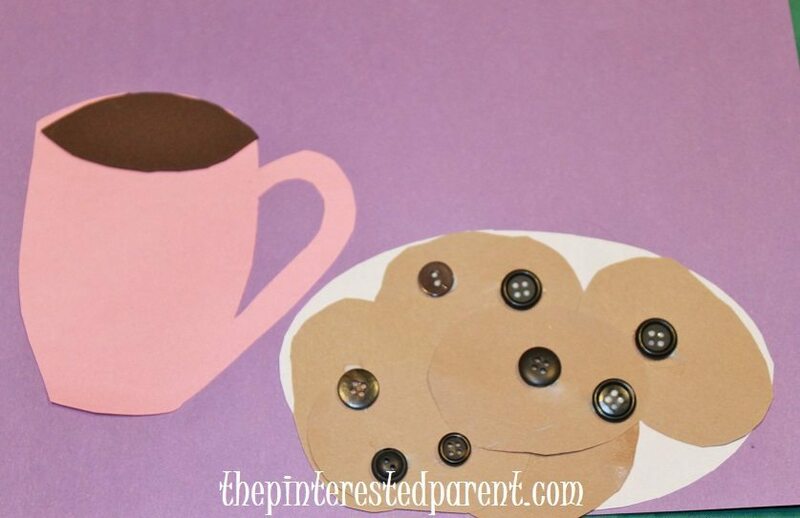 Glue the cookies on the plate & the buttons as chocolate chips. I had cut out a couple of cookies with bites taken out of them & some crumbs, but Mai insisted that all her cookies had to be whole. She did not want anyone biting “her” cookies. 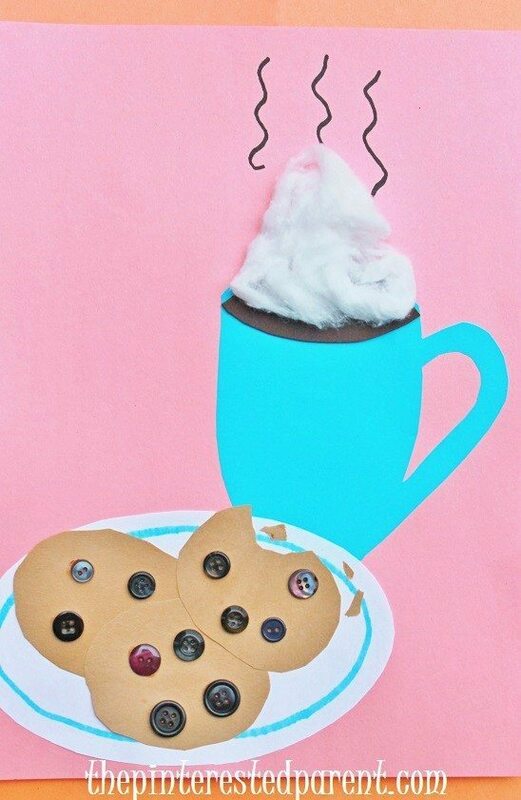 Pull apart a cotton ball a bit & glue it to the top of the cocoa for whipped cream & use a marker to draw in steam. 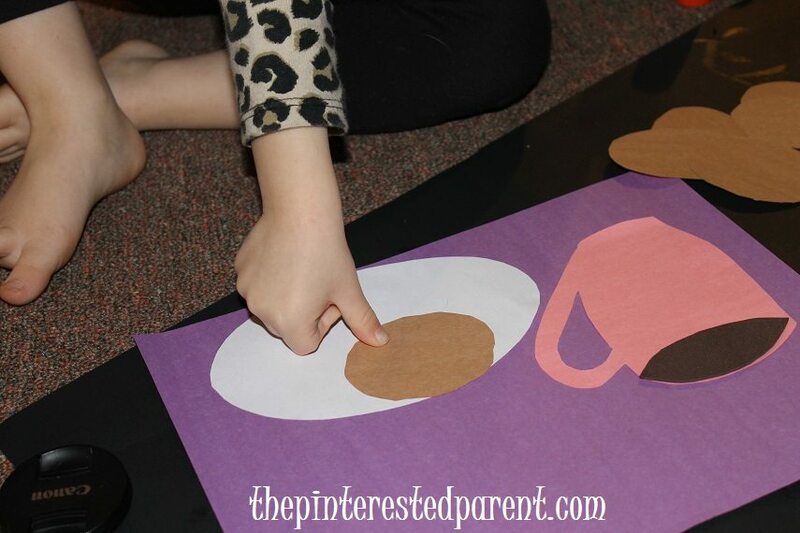 Since Mai doesn’t like cream on her cocoa in real life, she did not want it on her cocoa craft either. 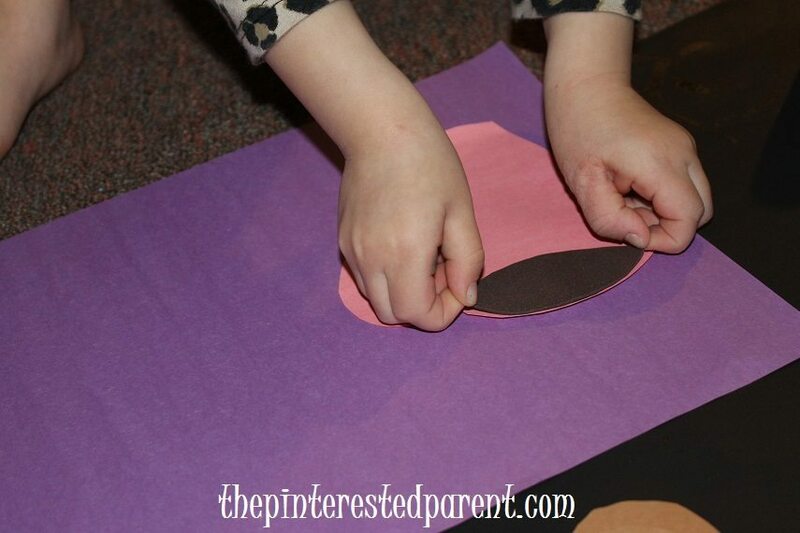 My daughter’s inspiration turned out a cute craft. Daddy is going to love all of his birthday presents. Happy Birthday, honey! !